I've known Abby Quigley for almost a decade. She is a vibrant young woman with a passion for music and a strong desire to make people happy. She is funny, intelligent, and a social butterfly. 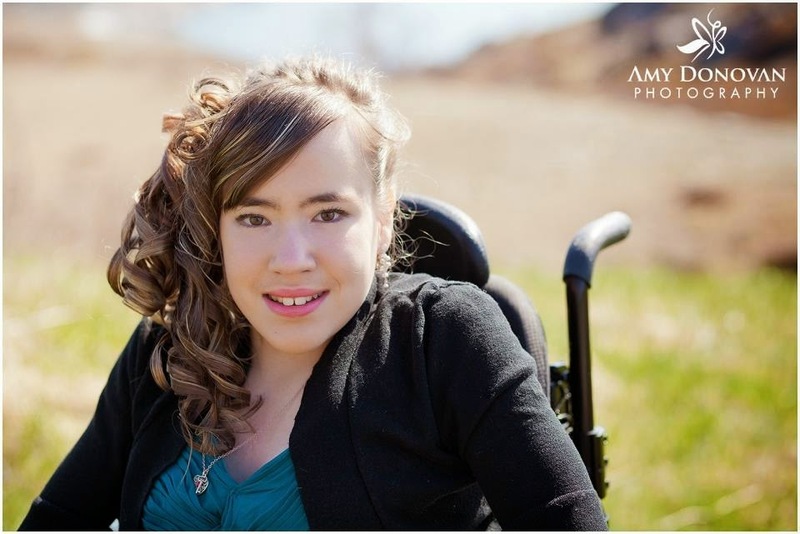 Abby is 16 years old and has Spina Bifida. For as long as I've known Abby, I've known that there is music in her soul. For her, it is a source of joy and a form of creative expression. 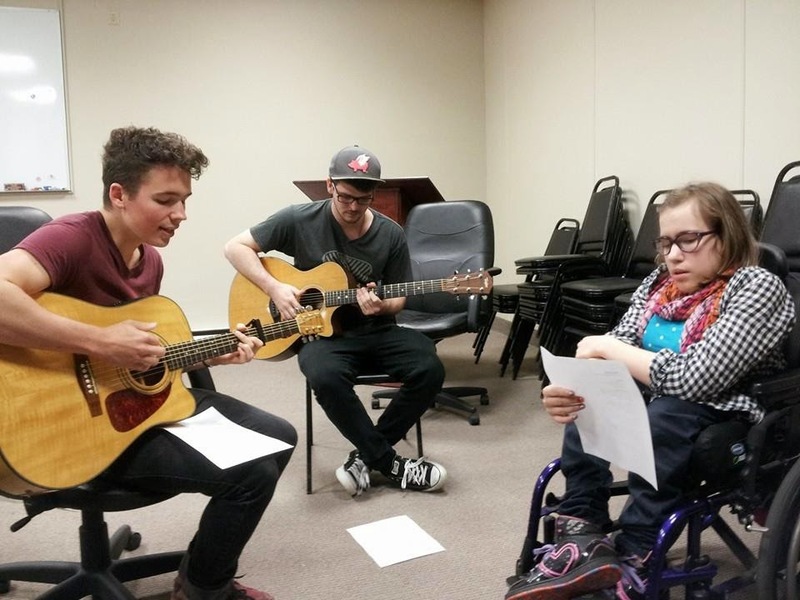 Abby plays guitar and sings and wishes to one day become "a music therapist, or a famous recording artist, whichever comes first." Her love of music started back when she was a little girl. Here is a clip of Abby at around four years old singing 'Fireman Fred'! 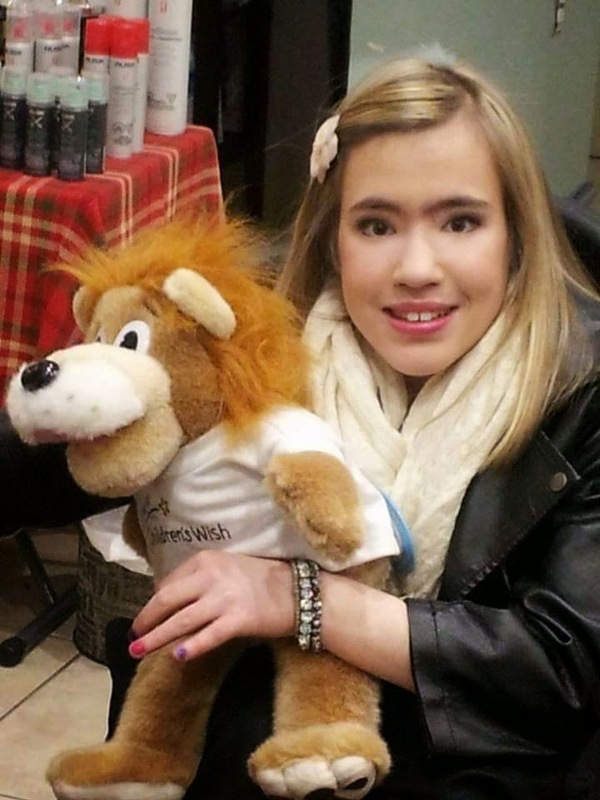 In 2014, Abby recognized a "wish" that was forming in her heart. She wanted to write and record a song with her favourite band, Everglow. She skillfully composed the lyrics to a song she titled "Possible", and sent them off with a note to the Children's Wish Foundation. 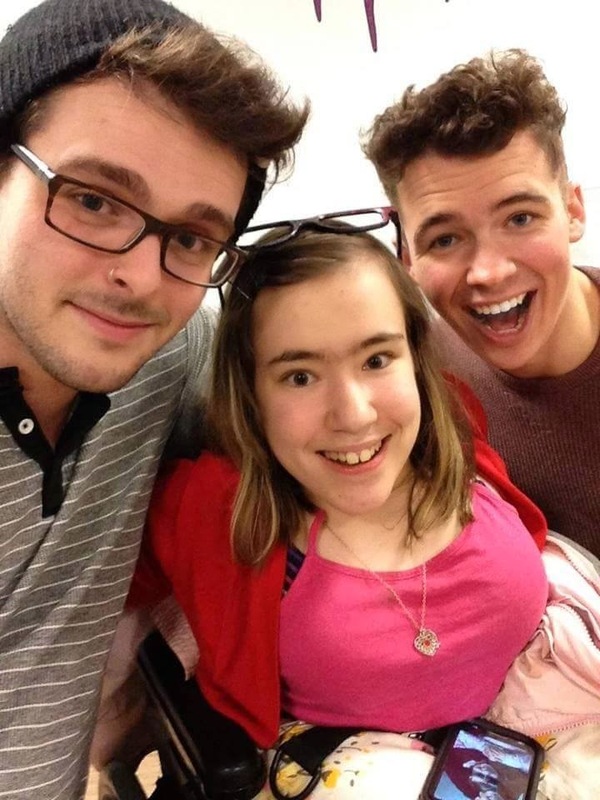 She was called in for a meeting with the Foundation, and when she arrived, the boys from Everglow were there to surprise her. They read her lyrics and were inspired. They went straight to work, composing a catchy, upbeat song to highlight her encouraging lyrics. Since that first meeting, there have been many rehearsals, a studio recording, live performances and interviews, and a whirlwind of activity for Abby and Everglow. Abby has enjoyed every moment of hanging out with the band. 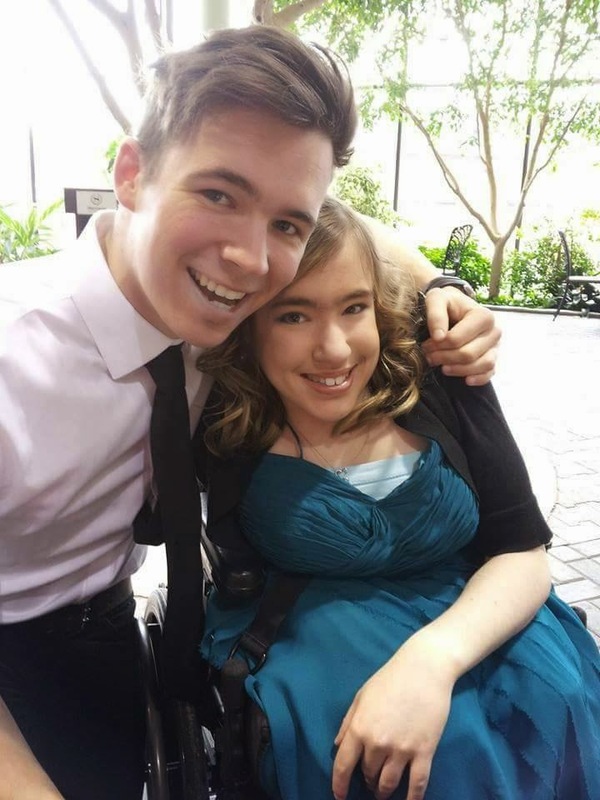 “Even though I’m short and I’m in a wheelchair, they make me feel like I’m no different than anybody else. Jon Pike and Gordon Huxter are so inspirational to me. Music is something that makes me really happy. It's something I want to do for a long time, and that's what I want people to understand. Just because you're different, doesn't mean you can't accomplish things. It might be something that is more difficult for you to do but with a little bit of faith and determination it is possible!!" Abby's Mom, Lori has been right by her side every step of the way. She says, "The people at the Children's Wish Foundation were amazing. They were so kind and considerate. Even though they had never done anything like this before, they made it all happen and then some. Abby was the focus for them, her happiness was first and foremost." "This whole experience came at a time when her self-confidence was wavering, unfortunately, due to typical junior high issues. Having her wish granted made all the difference, and we have our positive, confident girl back!" Abby says, "Thank you for everyone's continued love and support during this amazing journey with Everglow and the Children's Wish Foundation. It means the world to me!" Thank you, Abby, for showing us that anything really is possible and that dreams really do come true. Here's to you, Abby, and to endless possibilities! You can change the world with your words and your song.